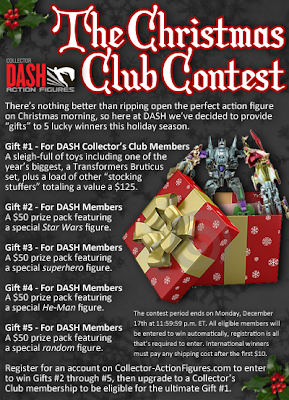 3B's Toy Hive: Sponsor News: Collector DASH Giveaway! 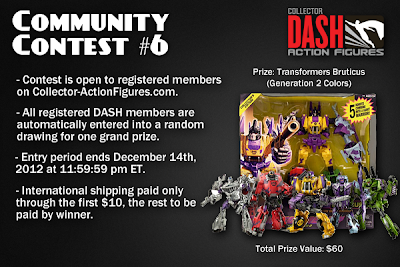 Collector DASH Action Figures has a bunch of great contests going on right now. 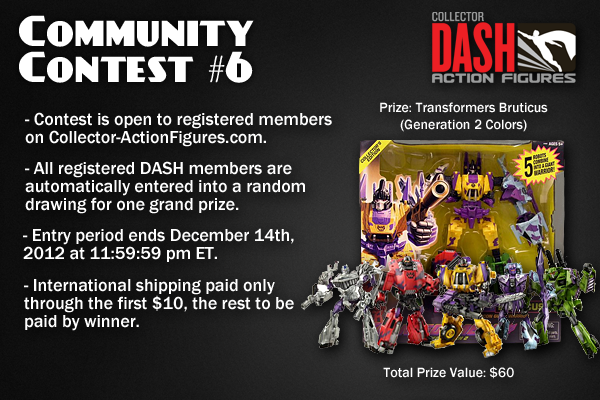 Take a moment to look over the following announcements and click on the link to sign up for Collector DASH if you haven't already done so! Hey don't pass up a shot at winning a FoC "G2" Bruticus!